Flaggs Spring Rd to Shaw Goetz Rd. Driveway is gravel driveway directly across from mailbox. There probably won't be a "for sale" sign out. This beautiful custom built brick wrap ranch home has so much to offer. 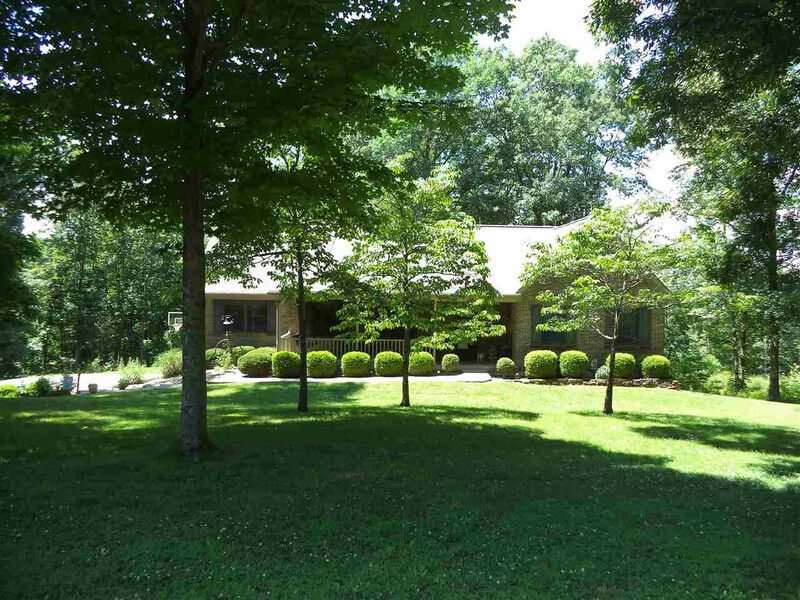 Home sits on a secluded 7.7 acre lot with a 32x24 barn. Features include 2 wood pellet insert fireplaces, hardwood floors, upgraded kitchen, large master with attached bath and walk-in closet, finished walkout basement with full bath and wet bar, oversized 2 car garage, low energy cost geo-thermal hvac, and just 2 miles from Saint Peter and Paul school.